ECOffins were developed by Dr Ng Khee Yang, an inventor interested in sustainability and the environment. 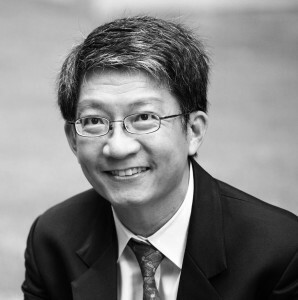 Trained as a Civil Engineer, Dr. Ng ventured into water microbiology studies for his PhD in Civil Engineering. This experience triggered his interest in Environmental Engineering and the desire to find answers using innovations derived from a multi-disciplinary approach. He joined Singapore Polytechnic in 1998 and for a time was the Center Director of the Centre for Applications in Environmental Technology (CAET). In July 2013 he left Singapore Poly to venture into the private sector. Besides the ECOffin, Dr. Ng has been involved in R&D for the NEWater project and has also acted as principal investigator of several environmental-related industry projects. His latest venture is ECO-Applications Pte Ltd which makes applications of natural enzymes used to break down foul air pollutants, improving the indoor air quality in homes, offices, hotels and factories. Singapore Accreditation Council’s Technical Assessor Award (Gold), 2009; Singapore Accreditation Council’s Technical Assessor Award (Distinguished), 2011; Singapore Polytechnic’s Excellence, R&D Award, 2011. Singapore Polytechnic’s Excellence, R&D Award, 2012; BCA-SGBC ( Singapore Green Building Council) Green Building Individual Commendation Award, 2014. ECOffins are marketed by Leaving Light, a collective of individuals who believe that use of ECOffins is not only a gesture of love and compassion for the planet, but that they may provide a transformative experience of death and funerals. We have discovered that the ability to leave farewell notes and pictures on the coffin facilitates openness and healing. Because of our first hand profound experience of this on the death of our dear friend Sylvia, we felt we wanted to help Dr Ng with his project in order to “pay it forward”.